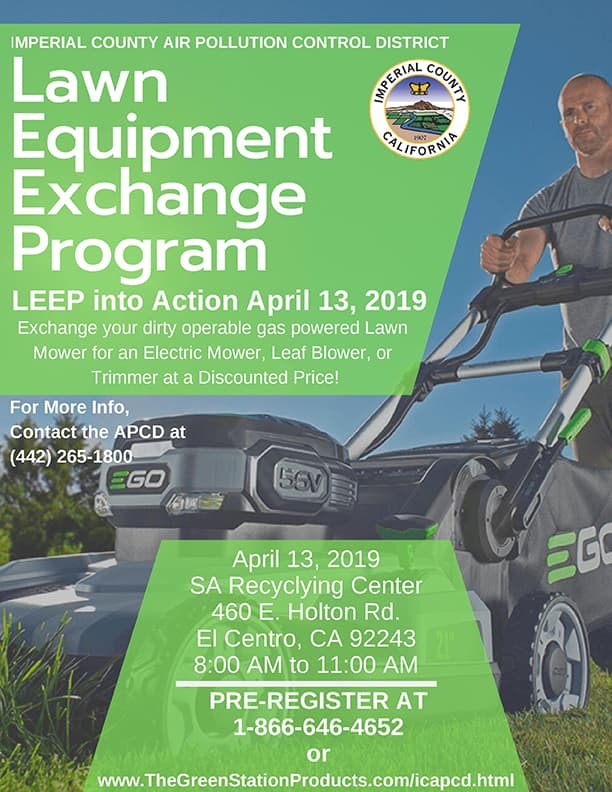 Exchange your dirty operable gas powered lawn mower for an electric mower, leaf blower or trimmer at a discounted price! Pre-register at 1-866-646-4652 or thegreenstationproducts.com/icapcd.html. For more information, contact the APCD at 1-442-265-1800.